I was hopeful that this would be the year that I could shift my workflow to the iPad Pro, but once again, there is nothing on Apple’s tablet line that is able to usurp my Mac. Let’s talk about why. Over the years, iPad has significantly improved both in hardware, as well as with iOS. It has improved enough that I’ve adopted iPad as my primary device for most use cases, spending more time utilizing it than both my iPhone and my Mac in both my professional life, as well as my personal life. As Apple has continuously iterated on the iPad Pro, we continue to inch tantalizingly close to the point where I truly can use my iPad rather than my Mac for all my tasks. It acts as a shot list, note-taking device, and occasional teleprompter during video shoots. During photo sessions, I quickly dump photos onto it for preview and processing. When working with photos after a shoot, I fall back onto the couch with my iPad and Apple Pencil to edit. On trips, it is a great large display to relax with movies or TV. Rather than watching movies, it is also great for reading or kicking back with a game. I even do light front-end web development on my iPad. Of course, it also is a great writing device for nearly all my articles and videos here on AppleInsider. When Apple announced this year’s batch of iPad Pros, I sat back, brimming with anticipation. Apple showed off a wealth of new functionality including connecting to external 5K displays, using USB-C to connect directly to a professional camera, no-compromises Photoshop, and of course the upgraded Apple Pencil. There’s very little iPad can’t do that I need it to. But, despite all of iPad’s newfound capabilities, I knew it still wasn’t going to replace my MacBook Pro. At least not yet. If you haven’t spotted the glaring hole in my iPad workflow, iPad’s biggest limitation for me, is video. That’s not to say iPad doesn’t have some video capabilities. There are several quite capable iPad-specific video editing applications I’ve used from time-to-time. Even so, they are no replacement for Final Cut Pro X, where all my AppleInsider and other professional videos pass through. It’s also going to take much more than just FCPX to appear on iPad for me to be able to actually utilize iPad Pro as my actual device. The interface alone would be extremely cumbersome on iOS. From the basics of interfacing with the timeline to animating with keyframes, without a mouse, these tasks would be difficult. Just looking at the timeline alone, for an audio track you have the level of audio, the fades in/out, and the beginning and end trims. These UI aspects can get extremely tiny and cramped and beg for a mouse to be used. Moving some of these into popups or modals would work, but it would slow down the workflow significantly. To go with FCPX and mouse support, I would also need external storage support. I’ve terabytes of storage occupied by hundreds if not thousands of videos over the years and their backups. There would simply be no way for me to utilize onboard local storage for all my video production. I could perhaps suffice while on the road, but to ditch my Mac, I need to be able to connect more external storage. Right now, developers can create apps that talk to external storage, but it is severely hampered by iOS, making it near unusable for this scenario. Lastly, I also want better monitor-out support. Sure, I can connect to a 4K or 5K display, but it only mirrors the iPad or previews media rather than being used as an actual display. Mouse support could play a big part in that so you can actually interact with items on the display, but it will undoubtedly need some work and adjustment. All that said, it isn’t as if the iPad is incapable of doing what I need it to do. The benchmarks for the new 2018 iPad Pros are outstanding, easily besting my late-2016 MacBook Pro. Running the test a few times myself, my Mac pulls 15696 on the multi-core test. The new iPad Pros on the other hand, are able to clock 17995. A pretty substantial gain. Of course, Geekbench isn’t the be-all-end-all measurement of real-world performance and doesn’t always represent any given workflow with 100-percent accuracy. That’s why we can take a look at real 4K export times to get an even clearer picture. Laptop Mag did just that and the results were insane. 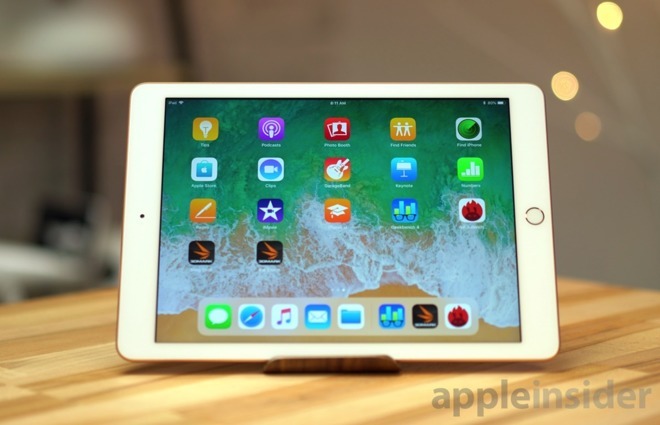 Apple’s 12.9-inch iPad Pro exported a 12-minute 4K video in 7:47, almost one-fourth of the 25:53 that the 13-inch MacBook Pro squandered on the task. That leaves me confident in the iPad’s power, and also confident that it just needs to be able to take advantage of that power. Where that leaves me right now, is in a bit of a hole. I really push the iPad to its limits with editing massive RAW photos and other workflows. This makes it solidly worth upgrading for the new Pros. This year’s iPad Pro’s got a redesign, so instead of just picking up an iPad, I also am going to be picking up a new Apple Pencil and a new Smart Keyboard, pushing my cost of ownership well over a grand. At the same time, I can’t ditch my Mac. I can’t even opt for a cheap Mac like the new Air or the Retina MacBook because I need some power to handle those 4K videos. That leaves me with an absurdly expensive setup, one that could be markedly less if my iPad could properly handle video. I wouldn’t leave the Mac behind completely, it still runs as a home server amongst other things, but I wouldn’t need the high-end model I need now. Assuming everything isn’t all about me, if we take a step back and look at the bigger picture it’s clear the iPad should to be more people’s primary device. It harkens back to an old Steve Jobs interview where he discusses the parallels of computers and tablets to trucks and cars. In the agrarian times, trucks were ubiquitous and occupied 100-percent of vehicle ownership. As time has gone on, vehicles evolved and people switched to cars as trucks were no longer necessary for the bulk of consumers. Jobs described that as a similar transition in the computer to tablet market. Personal computers were what everyone had because it was what was available and was necessary. To date, most people still see the iPad as purely a consumption device, and not a device that can truly replace their computer. Apple is facing an uphill battle as it tries to shift the perception of their titular tablet. Even more so than when the iPad launched, tablets are primed to take over. Computers will still be around and fill a niche void, but tablets can fill the need for we daresay most people. Luckily, I’ve never felt better about the future of iPad. Apple has been positioning the iPad Pro this year as a direct computer replacement rather than a mobile consumption device. There is a clear sign Apple wants the iPad to be used for creating and productivity rather than just games, movies, and reading. We see some early signs of that with iOS 11 and 12. They gained several new productivity features for pro users. Multitasking —while not nearly as robust as it is on a Mac —got improved. Between split view, slide over, and PiP, I’m able to run many apps simultaneously. Especially fruitful for me, photo/video import got overhauled that has made a huge impact on how I process images on my tablet. Next summer, we will get our first look at iOS 13 and what new features Apple has in store. For years, Apple has been hammered by requests to open up the file system/support external storage, to improve multitasking, and to add support for a mouse.